So the turkey’s been carved, and the leftovers are all nestled within the fridge. Your relatives have gone back home and agreed to rendezvous once more in a month or so. The past 24 hours have been a blur, but its a pleasure to cross another holiday off the list. Of course, one still remains. Perhaps the biggest holiday of all. Yes, it is officially Christmas time. Your Christmas shopping may already be done if you went out to Target or Best Buy in the wee hours of this Black Friday. Or maybe your waiting till Cyber Monday. Regardless, the next few weeks will be a blitz of snow, cookies, presents, carols, and of course, movies. Specifically, movies about Christmas. The “Christmas Movie” is a bizarre little sub-genre of film, and like any other there are classics, and there’s wannabes. Here, in no particular order, is a list of some great ones. There’s a bunch of Christmas romance movies out there, but this is by far the best simply because the film makers wisely cram every cliche and character type into one movie. Several stories performed by a stellar cast allow for maximum viewer enjoyment. If you don’t care for once story don’t fret, another is just around the corner. Charming, funny, and sweet without being too cloying, Love Actually is the perfect holiday movie to watch with the person (or people) you love this holiday season. 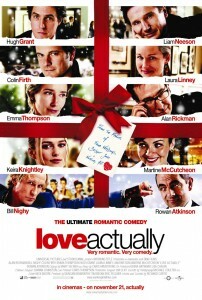 You can order Love Actually here. There had to be some version of Charles Dickens’ classic story on here, and for my money the best version features the pairing of Jim Henson’s creations and Sir Michael Caine. I mean, how can you not love that combination? Not only is the flick wonderfully witty, but the Muppet Studio does a great job of adapting Dickens’ story as closely as possible, with lines and passages lifted directly from the author’s novella. The film also boasts a slew of great songs, from the opening Mr Humbug to the earnest One More Sleep to the joyous It Feel Like Christmas. The movie is notable for being the first Muppet film after Jim Henson’s untimely death, but it luckily doesn’t miss a beat. Michael Caine knows just the right tone to use when interacting with the Muppets, and everyone’s favorite character shows up in one form or another. This is my own personal favorite. 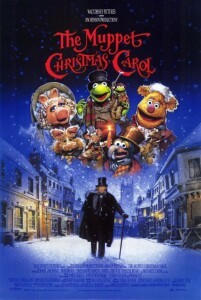 You can order Muppet Christmas Carol here. Joe Dante’s 1984 Gremlins is already a stone cold classic, so why not take advantage of the Christmas time setting and watch it? The film itself takes advantage of the cheerful season, juxtaposing it with jet black humor that for a maximum effect that’s caused more than a few parents to shield their little ones’ eyes from time to time during the movie. Spielberg, who produced this film, makes a cameo appearance so keep an eye out for him, and keep an eye out for Chuck Jones and Jerry Goldsmith’s cameos as well. If you aren’t into the touchy feely Christmas flicks, than this is more your speed. 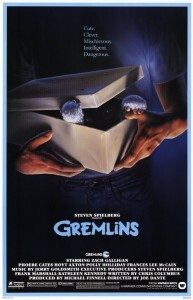 And if you’re looking for a family film that teens and adults can watch together, than look no further than Gremlins. You can order Gremlins here. Of course this one has to end up on the list. It plays for 24 hour marathons on TBS and other basic cable stations. 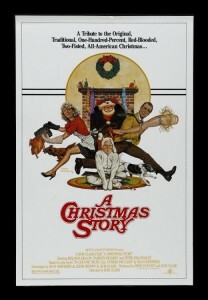 It is perhaps the definitive 20th century Christmas story. It’s endlessly quotable (“You’ll shoot your eye out!”) and boasts some iconic images (that damn lamp) as well as some incredible sequences (the bit where Ralphie finally snaps and beats the snot out of Scut Farkus gets me everytime). There’s someone for the whole family to relate to here, and as we grow older that changes each time. From the babied but overlooked Randy to the confused Ralphie to the oblivious Old Man, and then the lynchpin of the whole family: dear old Mom. There’s a reason this movie is beloved and cherished so much. It represents all of us, and the American experience of the holiday season. It pulls no punches but doesn’t go into mockery. There’s an affection here that mirrors our affection for our own families. That is why it’s brilliant. You can order A Christmas Story here. I know what you’re thinking, hear me out: not only do both these films represent the finest action the 80s have to offer (outside of a Spielberg film, at least), but both of them take place during the holiday season. 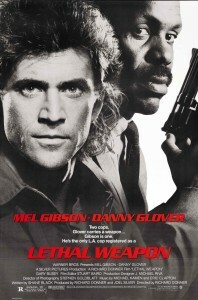 Lethal Weapon opens with “Jingle Bell Rock,” for crying out loud. 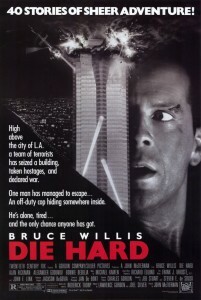 And the hostage situation in Die Hard takes place during a Holiday office party. So this dual entry is for those who can’t stand A Christmas Story or Love Actually, films that talk about Christmas constantly and use it to motivate everything around it. Die Hard and Lethal Weapon use the month of December as a backdrop, and the characters have much more important things on the line than discovering the true meaning of Christmas. Instead, they have to worry about saving their families from evil drug lords and thieves posing as terrorists. The action is intense, the stakes are high, and the violence is spectacularly executed. Most importantly, Mel Ginson, Danny Glover, and Bruce Willis form a new breed of hero: the wisecracking everyman who dips into things way over their heads. The archetype dominated modern action films for the next two decades, and still lingers here and there, but these two films started it all. Feel free to use the holiday season as an excuse to check them out. You can order Die Hard here. You can order Lethal Weapon here. 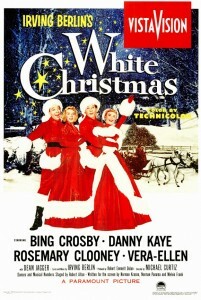 Also known as Irving Berlin’s White Christmas, this song and dance musical has a simple, easygoing story that’s not much more than an excuse for Michael Curtiz (the director of Casablanca) to stage some amazing dance numbers around Bing Crosby, Danny Kaye, Rosemary Clooney, and Vera Ellen singing their hearts out. Crosby and Kaye play WWII veterans who’ve made names for themselves as a song and dance duo. They get word that their old General whose Vermont Inn has fallen upon hard times. To get business going the pair recruit Clooney and Ellen to assist them in putting on a show at the Inn to drum up publicity and save the Inn. The pairs fall in love, and its all charming and wonderful in a way that only a big musical from the 50s can be. This is for the folks that don’t care for action films, or just want to reach back and find something a bit more obscure than the typical holiday specials of Rankin and Bass. White Christmas has gotten a bit more play recently, particularly on ABC Family, but it isn’t as mainstream a hit as it used to be. Introduce your loved ones to it this season, and get ready for a new tradition to take hold. You can order White Christmas here. 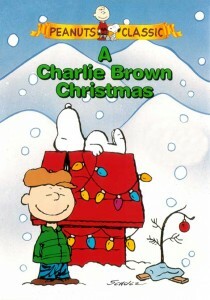 There is nothing I can say about the Charlie Brown Christmas special that hasn’t already been said before. It’s hard to think of a more perfect piece of pop culture, or something that is more beloved. A Christmas Story can survive a 24 hour marathon, but the Charlie Brown Christmas only needs to be viewed once a year, and that once a year tradition makes the film all the more special. We’ve all been in Charlie Brown’s situation at one point or another: suffering a crisis of faith and in desperate need of some sort of sign. For all the glitz and hooplah, the holiday season is all about renewal of faith in this world, and finding our own personal Linus to remind us what’s really important. You can order A Charlie Brown Christmas here. From all of us here at MovieVine, we wish you happy viewing, and a very Happy Holiday season. Comments for The Holiday Movie Guide: ‘Tis The Season For Some Cinematic Classics are now closed.